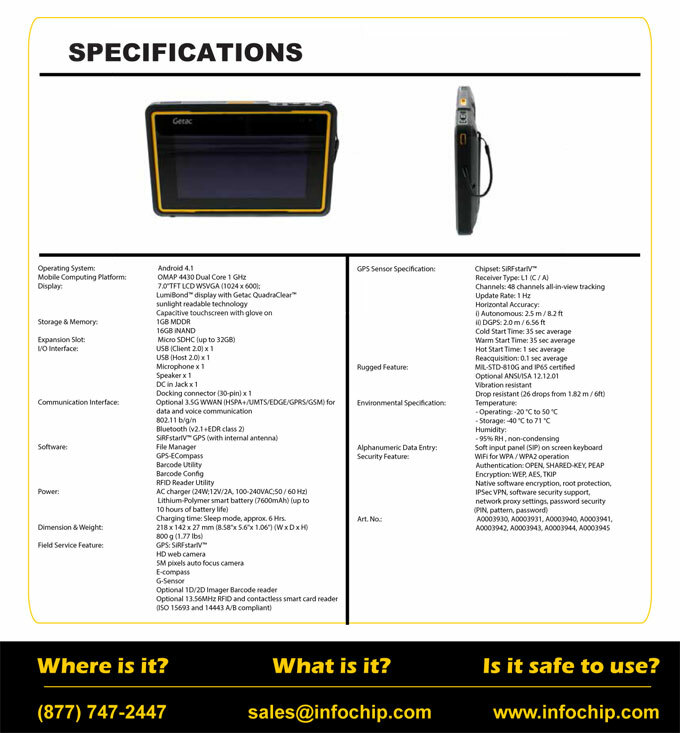 The Z710-Ex is an ATEX Zone 2/22 certified device that is designed to perform in hazardous areas. A 1D/2D Imager barcode reader, HF RFID reader and 5 megapixel auto-focus camera helps the Z710-Ex to capture a wider range of data on the move. GPS, 3.5G WWAN (HSPA+) for voice communication as well as Wi-Fi and Class 2 Bluetooth 2.1 with EDR, combine to provide faster, more reliable speeds for efficient data delivery in real-time. Request a quote for your next RFID project and one of our team members will contact you to discuss your needs. If you have any questions, start up a live chat below or call us at 844.414.8247 Mon-Fri 8am-5pm MST.